Photoemission is one of the principal techniques for the characterization and investigation of condensed matter systems. The field has experienced many developments in recent years, which may also be put down to important achievements in closely related areas. This timely and up-to-date handbook is written by experts in the field who provide the background needed by both experimentalists and theorists. It represents an interesting framework for showing the connection between theory and experiment by bringing together different concepts in the investigation of the properties of materials. The work addresses the geometric and electronic structure of solid surfaces and interfaces, theoretical methods for direct computation of spectra, experimental techniques for data acquisition, and physical models for direct data interpretation. It also includes such recent developments as full hemisphere acceptance in photoemission, two-electron photoemission, (e, 2e) electron diffraction, and photoelectron-electron/hole interaction. Both editors are well-known and respected in their field. The list of contributors includes researchers of high standing. Professor Dr. Wolfgang Schattke recently retired from teaching theoretical physics at the Institut fuer Theoretische Physik und Astrophysik der Christian-Albrechts-Universität zu Kiel. His research concerns solid state physics including its many-body aspects. It focuses on the electronic properties of bulk and surface systems using ab-initio methods to quantitatively calculate spectroscopic data that are directly comparable with measurement. extract such information from actual materials. 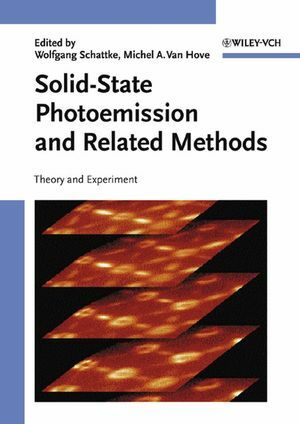 "In my opinion, and especially taking into account the versatility of the presented techniques, theoretical and experimental approaches and diversity of the properties of materials addressed by the photomission, the book will be useful for a wide range of scientists. Some may read it as an excellent overview of the vast research area, while others as stimulating or starting point for their own research."